Some unfortunate news this morning: The massive Kerascoet art book Paper Dolls has been placed on hold for the time being. 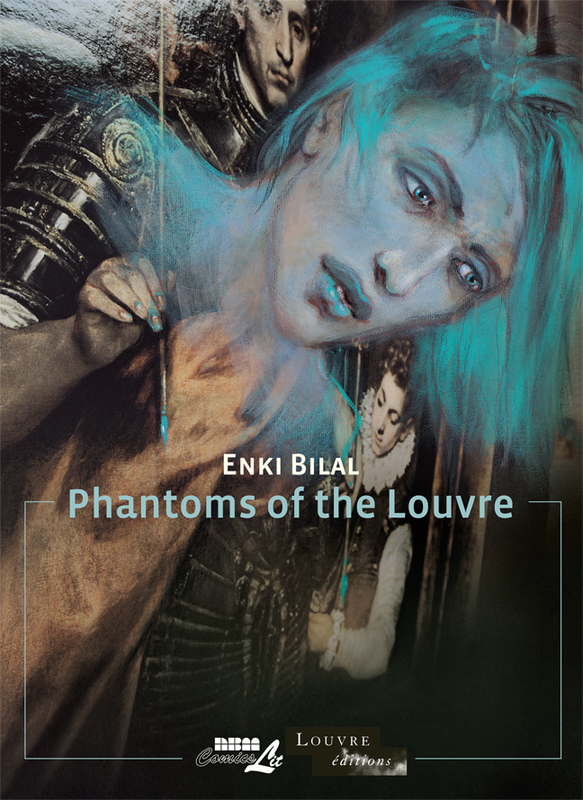 The stunning book was originally published in France, offering over 300 pages of bold designs, comics in the making, sketches and studies, ingenious die cuts, and brilliant layouts. The book includes concepts and covers from recent NBM successes BEAUTY and MISS DON’T TOUCH ME– both in their second printing, as well as from Beautiful Darkness. We hope to return to this project in the future. The project is truly a global effort, with other foreign publishers joining in on the production of this work, a first set of international partners failed to work out because of the sheer cost. 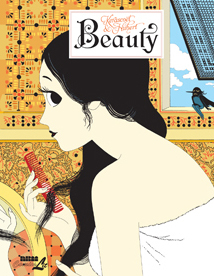 Just in time for Xmas, you can now get Beauty, one of our 2014 bestsellers, and Miss Don’t Touch Me on Comixology, Sequential and wherever e-books are sold! Most of NBM’s books from 2013 and 2014 are available as e-books wherever they are sold. They can make nice gifts! 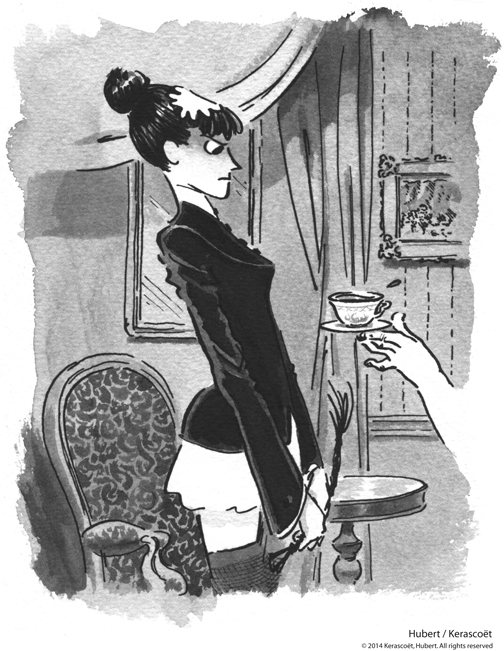 Here’s our catalog on Comixology and Sequential. Exclusive Kerascoet Print Offered on NBM Site! Did you enjoy the art of Beauty? Miss Don’t Touch Me? 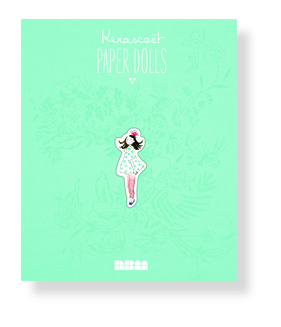 Right now when you spend $30 in the NBM store you can get an exclusive print from Kerascoet, the artist behind Miss Don’t Touch Me and Beauty! If you buy $50 worth of books, you can get the print signed by the artist! Sorry, the print is not available on its own. This is the latest edition in our long running collectible print offer. Jim Benton (Dog Butts and Love. And Stuff Like That. And Cats), Rick Geary (A Treasury of Murder), Margreet de Heer ( A Discovery in Comics series), Stan Mack ( Taxes, The Tea Party, and those Revolting Rebels) prints are all available now! One print per order, while supplies last. To see the other prints and learn more about the offer visit our website. This offer is available on phone orders and at conventions as well, make sure you ask for it when ordering! Author Jeff WhitmanPosted on December 11, 2014 Categories Blog, Events, New ReleasesTags A Treasury of Victorian Murder, Beauty, Dog Butts and Love. And Stuff Like That. And Cats., Hubert & Kerascoet, Jim Benton, Kerascoet, margreet de heer, Miss Don't Touch Me, Philosophy: a Discovery in Comics, Rick Geary, Science: a Discovery in Comics, Stan Mack, Taxes The Tea Party and those Revolting RebelsLeave a comment on Exclusive Kerascoet Print Offered on NBM Site! 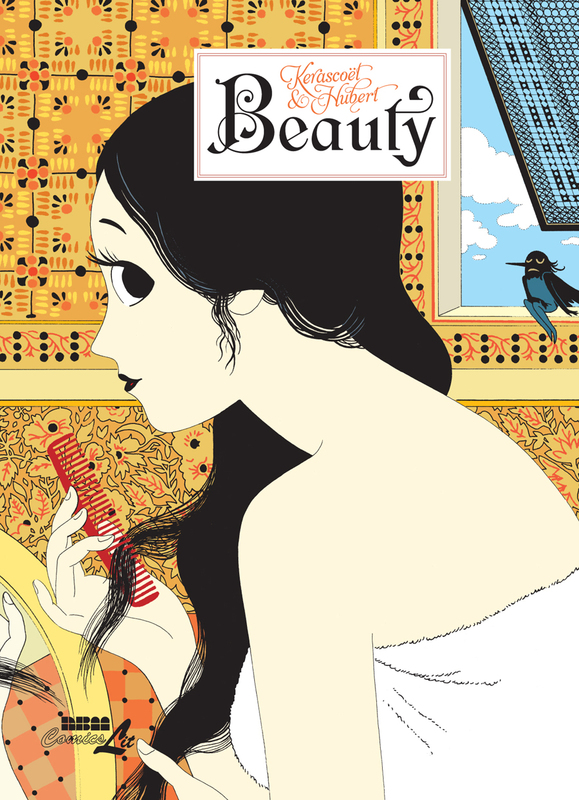 From Hubert & Kerascoet, the team behind Miss Don’t Touch Me, comes Beauty, an engrossing tale for grown-ups on the nature of beauty, both fascinating and corrupting. And a review for their previous book, Miss Don’t Touch Me. NBM for January: Another Chance to Order Our Most Recent Books! There are plenty of NBM titles in January’s Diamond Previews catalog! 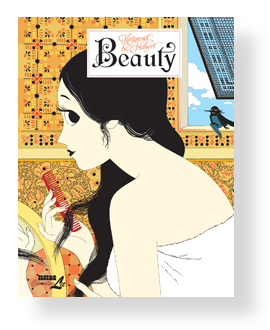 Take the time to order NBM’s newest hit Beauty, by Hubert & Kerascoet. Library Journal called it “one of 2014’s comic highlights.” See a preview here! 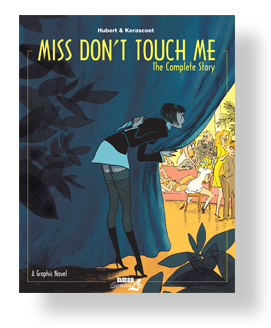 Hubert & Kerascoet’s first series, the crime mystery Miss Don’t Touch Me, has been collected in an omnibus edition for the first time to commemorate the occasion! Read what Comic Buyers Guide think “would make a heck of a movie.” They add, “Hubert’s writing is first-rate, Kerascoet’s storytelling and character designs are vibrant, and the overall look of the book is delightful.” Click here for a preview! 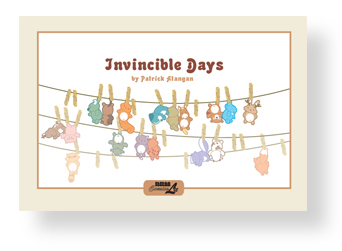 The creator of the Songs of Our Ancestors series returns with a collection of short stories about crucial childhood moments in Patrick Atangan’s Invincible Days. Comics Reporter called it a “new and notable release” and Broken Frontier named it “a testament to the refinement of Atangan’s skills as an artist and his fearlessness as a storyteller”. Previews are available here! Ask about these at your local comic book shop or fine book store! 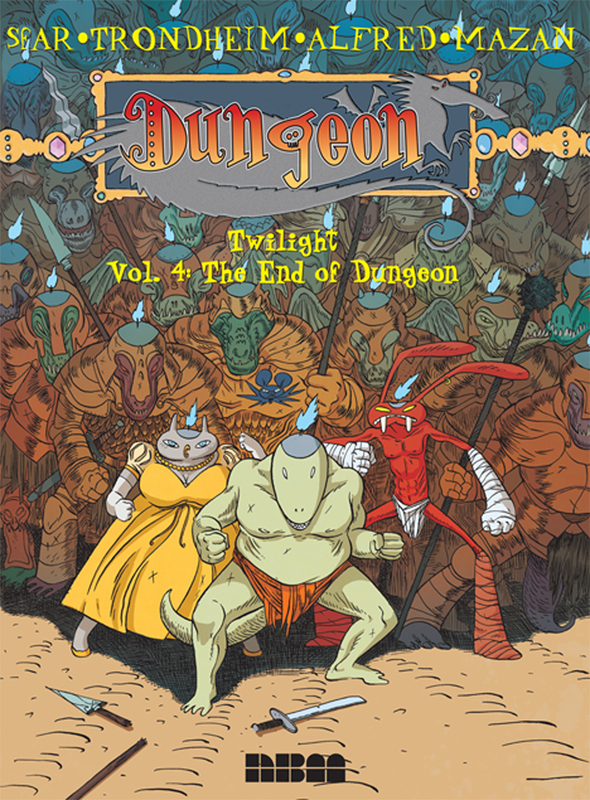 Author Jeff WhitmanPosted on October 30, 2014 Categories Blog, New Releases, ReviewsTags Beauty, Hubert, Invincible Days, Kerascoet, Miss Don't Touch Me, Patrick AtanganLeave a comment on NBM for January: Another Chance to Order Our Most Recent Books!